This delicate art pendant necklace is made using Origami paper. 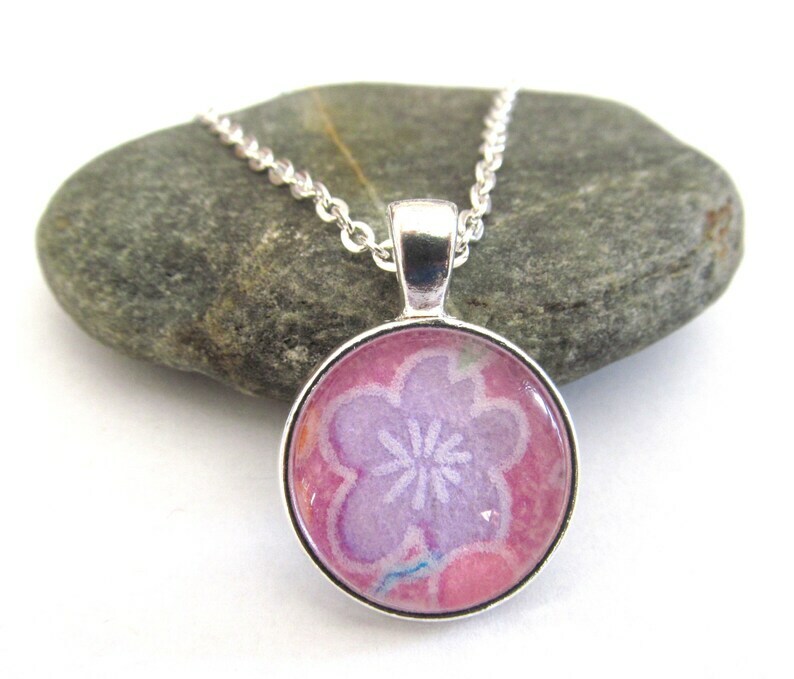 The print is of a purple flower on a pink background. The paper is protected with a layer of resin and clear domed glass. It is contained in a silver plated setting measuring 20mm in diameter (check out last photo for size comparison). The included necklace is 24" in length but can be shortened at your request. Jewelry comes in a pretty organza bag. All jewelry is lead and nickel free.